Here’s a blurb: Touring the City is my personal favorite of the classic Canaan years of the Inspirations. 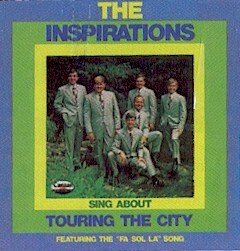 The title track became one of their signature songs. The quartet sounds as smooth as ever on a great selection of old-fashioned convention songs. If you love quartet music, you gotta love the stuff these boys were putting out in this time period.